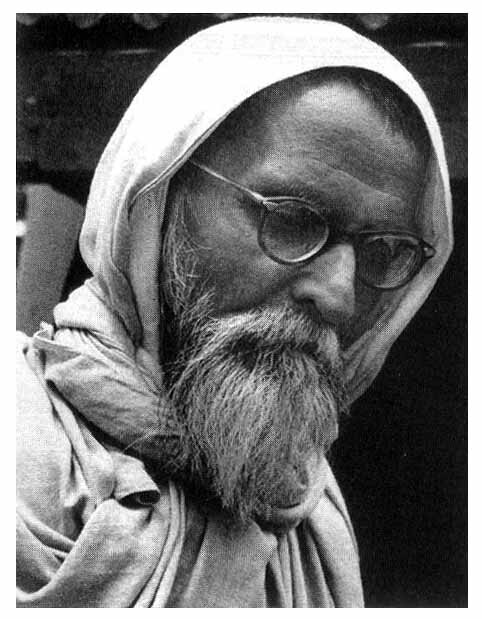 Today, on 15th November, which is the death anniversary of the Sarvodaya leader and thinker, Vinoba Bhave (September 11, 1895 – November 15, 1982) [http://en.wikipedia.org/wiki/Vinoba_Bhave], we bring to you the synopsis and chapter-plan of a book planned by AKS on the educational philosophy of Vinoba Bhave. A lot of ground work had been done by him for this book, but somehow that could not be completed.This synopsis and the chapter-plan were prepared in 2004. To say that there has to be a characteristically Indian view of the matters which concern the development of our nation vitally (such as education and agriculture) should not be taken as an assertion of the strident nationalism. This is more as a caution that we approach our problems with such an outlook. Since we emerged from colonial subjugation less than 60 years ago (not at all a long period in the history of a vast and ancient country like India), we are always in the danger of being taken in by the pious sounding resolutions taken at the forums that are led by the Western countries. Again, since we are still in the very early stages of a developing economy, we are always likely to be intimidated into forgetting our interests at such forums. As the body, mind and soul of a human being can’t be separately looked at for the purpose of better development of each, so a nation’s past is tied with its present, its culture with its geography, its economic with its social realities, and each is to be seen in relation to the mysterious aggregate which is India. Therefore, a holistic approach is now increasingly considered to be the need of the hour and this is found to be lacking in the Western model of development. Coming to the educational aspect, the Indian model, if it can be so called, was, in the recent times, first of all spelled out and put to practice by Rabindranath Tagore. Education has the power to change reality and so it cannot be merely abstract and intellectual. Tagore held that education to be truly creative should be in full touch with the complete life of a people—its economic, intellectual, aesthetic, social, and spiritual life. Similarly, Mahatma Gandhi was aware of the catalytic role of education in bringing about a social order free from all sorts of discriminations and in which the all round development of each and every citizen would be a continuing process. The recognition that the citizen of the country can be best moulded during the early formative years of his life led Gandhi to formulate his concept of ‘Basic Education or Nai Taleem’ which caught the imagination of the educated people, though not in a big way. But Bhave knew that the real human life only started with the fields, with the bread labour, exactly, to which every person must contribute. He said, “real human life will be reached only when the greater part of life can be given to all the other interests that make up the world of man.” The world of the arts, according to him, of history and geography, and the great political aim of bringing in a juster civilization was as much open and vital to the life of man and women as the life spent on the fields. Vinoba is not anti-science. He is called a saint and he did have saintly demeanour and way of life but he was open to ideas, and was even eager to assimilate different, even apparently contradictory, streams of human activity, like science and religion. He knew the value of science and how it rids the society of, to recall his words, “the faults of our ethical and religious traditions.” If science makes us understand the physical laws, the religion takes us to a journey into our self. If knowledge of the physical laws (Vijnan) is combined with knowledge of the self (Atma Jnan) —here education through craft can prove a good starting point—the goal of Sarvodaya (upliftment of all) will be realised. To many, if not all, of the intelligentsia Vinoba’s prescription as well as remedy of the problems afflicting the Indian society will appear puerile. At the first instance, with the developments on the technological plane and the globalisation underway, and India’s own chronic problems like illiteracy, unemployment and staggering population, the concept of self supporting educational programmes, tagged as it is to Gandhi’s vision of Gram Swaraj, sounds, as of today, wishful thinking. Yet, we know, in our innermost hearts that the craze for wealth, luxury items and the contempt for physical labour and the resulting rise in crime graph is proving disastrous, to say the least. Vinoba spoke from the heart and even his worst detractors will admit that his heart was full of sincere compassion for the underprivileged. But Vinoba could not shake off the idiom of the scriptures. In his much acclaimed book called Third Power (Teesri Shakti), his thoughts have the power to move mountains of inertia and prejudices, but these are, rather sadly, couched in the metaphysical idiom which does not strike a responsive chord in those who have received, what is rightly or wrongly called, modern education. Yet, anyone who has pondered over and, in a way, fought for providing education to the entire Indian masses should not have much difficulty in finding his way through the unnecessary mist caused by the metaphysical idiom of Vinoba’s speeches and writings. This chapter will briefly deal with the contribution of some of the pioneering educational practitioners and thinkers of India from Raja Rammohun Roy to Gandhi’s concept of Basic Education. Vinoba’s educational philosophy evolved out of his growing understanding of the causes and miseries of the Indian people as a result of his participation in the freedom movement. This chapter will bring into light this aspect of Vinoba’s development as an educational thinker. Vinoba’s experience with his experiments at Sevagram Ashram led him to believe that schooling is one step of learning which is to be followed by Deschooling which means that the student in the adult phase of his life will become independent of all outside control including the knowledge that he got from books and teachers. Vinoba was disillusioned with the half-hearted support that he received from government and non-government agencies and even from parents. This chapter will especially refer to Vinoba’s struggle to keep the institutions imparting Basic education or ‘Nai Talim’ afloat. Vinoba felt that Basic Education too would get into a groove. His exploring mind struck upon a new idea. He called it ‘Nitya Nai Talim’, an education that would be new with each new day. The concept of ‘learn through work’ given by Gandhi was enlarged by Vinoba into ‘think through work’. In other words, education should ensure life long growth of the individual. This chapter would bring out the salient features of Vinoba’s ‘Nitya Nai Talim’. Vinoba lived and spoke like an ascetic but he knew that it was necessary to expose oneself thoughtfully and sensitively to art. Just as scientists contribute to man’s understanding and control over his environment, so artists are creative of culture. Vinoba believed that the artist is a kind of educator, and it is for the teacher to lead his pupils delicately and lightly into the realm of art. This chapter will elucidate the educational function of culture in Vinoba’s scheme of the continuous development of the students. In a way, Vinoba combined the idealistic approach of Plato with the scientific approach of Aristotle. According to Vinoba, a truly educated person will not accept the division of the universe into the objective and the subjective. He will strive for the union of scientific knowledge and the knowledge of the self in his own life and in his environment. If knowledge of the physical laws (Vijnan) is combined with knowledge of the self (Atma Jnan) the goal of Sarvodaya (upliftment of all) will be realised.